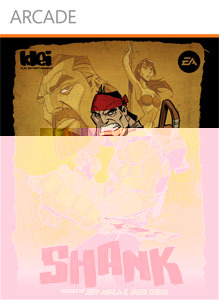 "Shank is a 2D cinematic brawler inspired by classic beat 'em ups and graphic novels. Embark on a tale of revenge using chainsaws, dual pistols, knives and more. Play in the storymode or cooperatively with a friend in the backstory!"